Our customers share their Simply Gourmand experience. We'd love to hear your own story too! A great company to deal with. Fast delivery and excellent packaging. Nabisco made Chipsters back in the 70s 80s. Have been buying Nestlé Dessert and Nestlé Dessert Corsé for chocolate mousse for years in France. Good to know I can get it here. I can’t find Bonne Maman chestnut jam anywhere but here. Yum!!! This is the best... I absolutely love the Sirop Teisseire, especially the grenadine flavor. My boyfriend and his son also love it. It is a special treat when we have it in the house. I am so glad Simply Gourmand sells it. St Michel galettes bring back childhood memories. I love how well balanced these cookies taste, sweet with a slight hint of salt. Has a nice crispiness to it. Great with a glass of cold, almond milk, water. Yummy. I will continue to buy them if Simply Gourmand continues to sell them. We'd love to hear from you too! 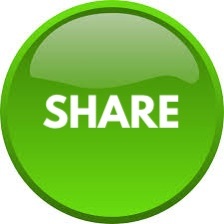 Share your own Simply Gourmand experience.